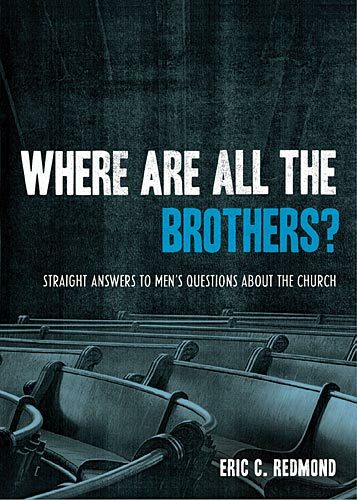 In Where Are All The Brothers?, Eric Redmond confronts one of American society’s most significant questions—where are the black men in the African-American church? He goes directly to the heart of the matter with a straight-forward, candid approach that includes a flavorful mix of biblical and seminal wisdom presented in a conversational tone. The book is controversial and cutting-edge as it addresses these and other popular concerns about the African American church that cause general skepticism toward the church by African-American men. Especially hard-hitting is Redmond’s analysis of the church’s response toward homosexuality in the African American community. On this and every topic, the author speaks truthfully on things church-goers and skeptics alike talk about in private, at the barber shop or hair shop. Redmond has provided a forum to have a public discussion that rests in the truth of Scripture. The chapters in the book are written so that the book can be completed in nine days by reading as little as 10-minutes per day. Each chapter is succinct, addressing its issue and making its point of reply in a few short pages. The chapters end with a few questions to challenge the reader to think on his own about an alternative to his excuses. On every topic Redmond recommends further reading for those interested in exploring the issues further. The intent of the book is threefold. First, the book is intended to be evangelistic. This book is designed to be a tool that explains the Gospel – and the church as the bearer of the Gospel message – directly to African American men. Terms, beliefs, and illustrations are geared toward the experiences of African American men. Yet the book is written broadly enough to be enjoyed by all people. Second, the book is intended to be apologetic. For the maturing Christian reader, Where Are All The Brothers? gives believers knowledge to answer African-American skeptics’ most significant questions about Christ and the practices of local churches. Instead of addressing traditional apologetic questions, the work responds to common questions raised against trusting Christ for salvation—questions raised based on life in the church. Third, the book intends to be reformational. Brothers? content will deepen maturing believers in basic, overlooked truths about the faith. The work can serve as a Christian African-American worldview primer. If you have questions about Christ and African American church life, or if you have an African-American friend who does, this book is for you.